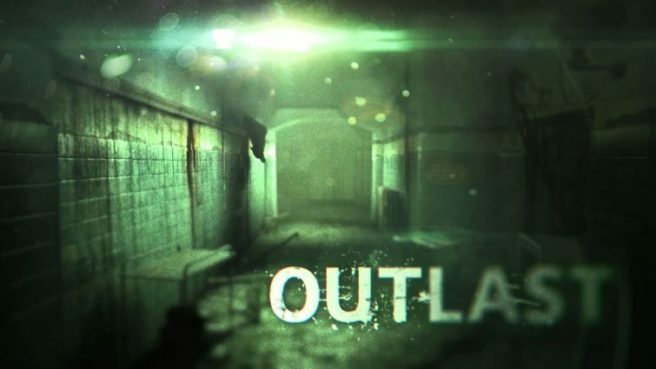 Red Barrels conducted a Reddit AMA this week all about Outlast on Switch. Philippe Morin, co-founder and senior game designer, as well as senior programmer Mathieu Gauthier participated. Between the two, they spoke about how the games have been selling on Switch, porting them to the console, why they run at 30 frames per second rather than 60, and more. We’ve rounded up some of the more noteworthy comments below. So far, we have no plans for a physical release, but it’s not out of the question. Sales are good, we’re making a profit. We’ll see in the long run how it compares. We didn’t really “plan” anything at first. After Outlast 2, in the middle of the summer last year, i kept reading how the Switch was selling super well. Phil and I talked about it for a second and a couple weeks later I had a devkit on my desk. We had no tangible idea of the processing power of the machine before we got it (besides the specs, which don’t tell you everything) but we were hopeful we could make it work. On a potential Outlast 3 for Switch…. We want to do an outlast 3 game at some point and at this point I don’t see a reason why it wouldn’t make it to the Switch. Outlast 1 uses a near-stock UE3, we simply ported it Switch and thankfully everything worked, but Outlast 1 is not a very demanding game. For Outlast 2, we found that UE3 was getting a little old so we modified it to support more “modern” graphics features. We also made it able to make better use of the modern consoles (more cores, more RAM, etc.). Some of these features are pretty demanding for the Switch but with a little bit of effort we managed to get everything working. We’re in the early phase of conception of a new game, so it’s too soon to confirm anything, but we love the Switch. The first thing was to get the game sort-of running, once we got that, we have tool (from Nintendo) that can help us figure out exactly what the CPU/GPU is doing, how much time everything is taking. From that we can start making decisions on what do change (if anything). For Outlast 1, we almost didn’t change anything. For Outlast 2 it became obvious that some assets just had too many triangles (most of the vegetation for example). One of our artists went over the worst offenders. Some other stuff had to be toned down as well. Code was optimized a lot too. Another thing we had to consider is the size of the game. In Oultast 2, we limited the size of the textures a bit to keep the game relatively small. It does not make sense to release a 20GB game (the size on PS4/XB1) on a system that has 32GB. It is just going to make people angry. Much like the DOOM guys, we were fortunate enough to have our game run at 1080p/60fps on PS4/XB1, so cutting the the resolution in half (720p is a bit less than half the number of pixels) and the framerate in half means you can run on a machine that is 4x less powerful, which is pretty much what the switch is in handheld mode.